I’m not quite sure how summer passed by so quickly. Is it really back-to-school season already?! As families gear up for the school year ahead, we thought it would be a great time to review current best practices for kids and epinephrine—something every parent should know even if your child has no food allergies! Here are a few things to remember as you prepare for your child’s fun (and safe!) return to school. It’s a good idea to get your child’s food allergies on the radar of their school caretakers before the year begins—especially if your child is changing schools. Contact their school nurse and teacher to plan for where the epinephrine will be stored and how it will be used in case of an emergency. You may also want to discuss how snacks and treats are handled in the classroom. Many schools have food allergy policies in place, but some protocols are at the teacher’s discretion. It doesn’t hurt to schedule a face-to-face with your child, teachers, and caregivers before school starts to talk through your food allergy game plan. As a bonus, this gives your child an opportunity to meet their teacher before the year begins and help them tackle some of those first-day jitters! There are currently three different epinephrine dosages available. For adults and kids who weigh more than 30 kilograms (~66 pounds), the recommended dose is 0.3 milligrams. For smaller kids weighing between 15 and 30 kilograms (~33-66 pounds), the recommended dose is 0.15 milligrams. Several brands offer both dosing options, including EpiPen, Adrenaclick, and Auvi-Q. For infants and toddlers who weigh between 7.5 and 15 kilograms (~16.5-33 pounds), Auvi-Q makes an auto-injector with a lower dosage (0.1 milligrams), which also features a smaller needle. Make sure to check with your doctor to determine the best option for your child! Remember that epinephrine is temperature sensitive. The medication should be stored at room temperature and never in extreme hot or cold climates (e.g., car glove compartments). Some brands also recommend that users periodically check to ensure the liquid has not changed color. If the solution assumes a pinkish or brownish hue, this can indicate decreased effectiveness. Epinephrine is light sensitive too—so store your auto-injectors in cases! 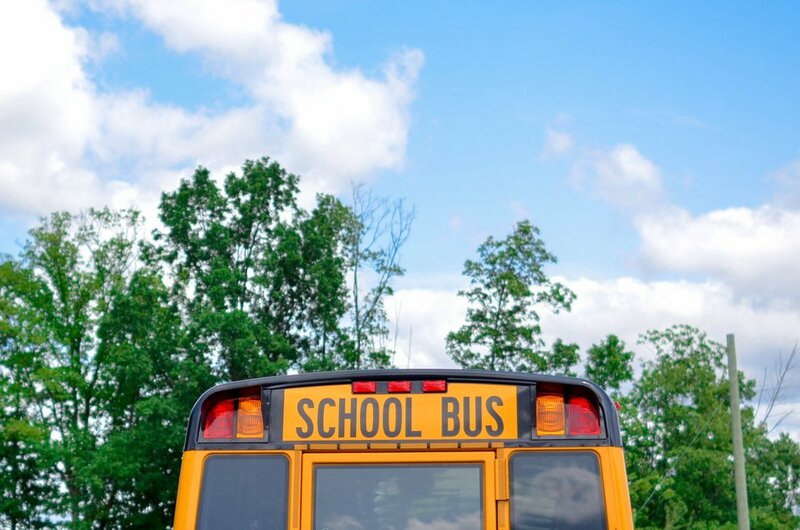 Parents should work with their child’s school or daycare provider to map out a plan for both on-site and off-site storage (e.g., field trips), to ensure availability and maximum effectiveness. As explained in one of our earlier blog posts, the outer thigh is the best place to administer the injection, even through clothing if necessary. Most manufacturers offer videos on their websites to demonstrate how to use their product. These can be a great resource for new caregivers and anyone that should be prepared for an allergic emergency. Like CPR, administering epinephrine is a good skill for any parent to have in their arsenal. Currently, most auto-injectors expire within 12 to 18 months. Make sure to check your epinephrine expiration dates and mark them in your calendar. A good rule of thumb is to always have two auto-injectors in close proximity to any food-allergic child in case one is defunct (and in some cases, two injections may be required!). As you replace old auto-injectors, remember that some manufacturers offer coupons or other financial assistance, especially for lower income families. While we hope you never have to use an epinephrine auto-injector, we share these reminders to keep all of our children safe as we send them off to the classroom! Abi and Sakura at Middlebury College in 2007. Have you ever stabbed anyone? I have. I stabbed my friend and Allergy Amulet Co-Founder Abi Barnes with an EpiPen in the summer of 2007. Abi and I spent that summer at Middlebury College, where I had just wrapped up my sophomore year. Alongside roughly 100 others, we immersed ourselves in an intensive Mandarin language program, pledging not to speak English for the program’s nine-week duration. Abi’s dorm was across the hall from mine, and we soon became good friends. We watched movies, went on runs, gossiped and joked, but always in this foreign tongue that consumed every part of our daily lives. We couldn’t even read in English, forcing several of us to secretly pass around an English version of the last Harry Potter book, which had just been released—no one wanted to attempt reading that in Chinese. One particular summer day, we finished up our morning classes and walked over to the dining hall. We were now several weeks into the program, so I was used to seeing Abi meticulously look for nuts on the ingredients list of every item on the self-service buffet menu. She and I chatted away while she seemingly nonchalantly searched for ingredients that could kill her. Among the various menu items was a grilled, flaky white fish with a brown sauce that we both opted for that day. Shortly after we sat down and started eating, Abi suddenly froze. “Oh my god,” she said; I was alarmed. Not because she turned pale, or had a look of panic in her eyes, but because she spoke English within earshot of other students and teachers. “No seriously, I can feel it. It was the fish sauce. I didn’t check it. I know it. I can feel it. I need my EpiPen,” she said in a panicked manner. Abi grabbed my hand and we ran across campus to our dorm. Once in her room, she tossed me the EpiPen in its original cardboard packaging and said, “Read the instructions.” I learned later that it’s always better to let someone else administer the epinephrine­ needle. I also learned that it’s good to have someone with you—which makes sense, considering that someone having an allergic reaction could pass out. So I took a generous upward swing and stabbed her. Bright red blood trickled down her upper thigh. We then rushed to the hospital. Many hours later, when the hospital determined she was safe to leave, our friend drove over to pick us up. We got into the car and The Fray’s “How to Save a Life” came on the radio. We laughed and heaved a collective sigh of relief. It wasn’t until days later when we went swimming in a nearby lake that I realized the force of stabbing her had left a black and blue bruise bigger than my hand on her thigh. I knew that food allergies were dangerous, but this incident with the fish sauce was a terrifying reminder of that fact. I remember Abi was completely wiped out after the ordeal, and to think that she has to constantly look out for dangers lurking in foods must be exhausting. Fast forward a decade and I’m currently the Chief Operating Officer of a family-owned Japanese restaurant group in New York City. At each of our 15 locations, our staff is trained to manage food allergies. I’d like to think that we’ve educated our staff about food allergies since opening our first location in 1984, but the reality is that dining out is always a potential minefield for individuals like Abi. It makes sense that she came up with the idea for Allergy Amulet. Stabbing Abi in the summer of 2007 will forever stay with me as a reminder of the importance of food allergy awareness and education. I also hope that incident will remain my first and last stabbing. Abi’s longtime friend, Sakura Yagi, wrote this post. For additional information on the proper use of epinephrine, please read here.